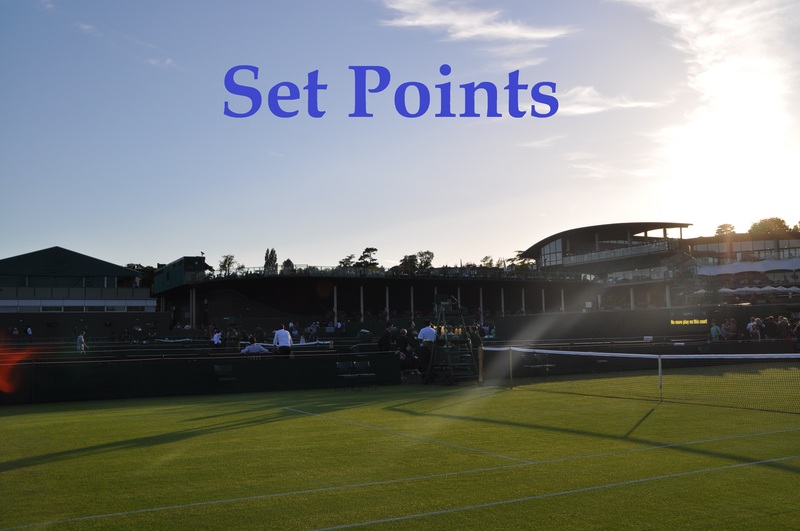 Sunday’s Set Points, US Open Day 7: Petra vs. Venus for a place in the semi-finals! We’re halfway through the US Open and the first set of quarter-finals for Tuesday are all set. The first player into the last eight was Sloane Stephens, who beat Julia Goerges, 6-3 3-6 6-1 to reach her first Slam quarter-final since Wimbledon 2013. The key to the outcome was Stephens being the more solid of the pair with Goerges committing too many wild errors. Stephens won the big points in her last match against Barty and this was the case in the opening set against Goerges – Stephens saved three break points at *2-2 *0-40 and then converted on one of her own in the next game, riding the break to win the opener, 6-3. Stephens had break points in Goerges’s first service game in the second set but couldn’t convert, ballooning a short ball highhh and longggg on a break point. The momentum swung as Goerges held and then broke serve, converting on her fifth break point of the match with an overhead winner. Goerges was always the more aggressive of the pair and finally it began to pay dividends in the second set as she found the court more often than not with her lethal forehand. Goerges held onto the break for the rest of the set with Stephens, slowly but surely, coming back from the brief dip. The third set was much like the first as Goerges faded in a sea of wild errors. Stephens didn’t do anything flashy – she was a tad more positive and kept things really solid, hitting just 4 unforced errors to Goerges’s 13. I’m gutted for Julia who still can’t quite make that breakthrough at a Slam – she is now 0-5 in last 16 matches. Still, a great run this summer and if she keeps putting herself in these positions then i’m sure it will eventually break her way. The number 16 seed, Anastasija Sevastova came from a set down to beat Maria Sharapova, 5-7 6-4 6-2 and reach back-to-back quarter-finals at the US Open. This was one of those matches where you could appreciate the quality of Sevastova’s game, which is a delight to watch when on. Sharapova edged a tight opening set, ultimately rewarded for controlling the rallies and finishing with a pair of fab returns. Sevastova was passive and relying mostly on retrieval., too far behind the baseline to have much of an impact. The Latvian player was much more positive in the second set with better placement and depth on her strokes, and winning the battle of the drop shots and most points up at the net. Sharapova tried to be aggressive coming forward but all too often retreated after failing to put the ball away. Her forehand drive volley leaked errors as the match went on. Sharapova had her chances to break back in the second set and threw the kitchen sink at Sevastova who clung on to force a decider. Sharapova took a lengthy break after the second set and had a medical time-out midway through the decider for a blister on her hand. Sevastova was in the zone and despite one loose game to lose her double break, she refocused impressively and eventually wore down an increasingly erratic, Sharapova. Sevastova-Sharapova was a good match. One of the highlights was the point linked below as Sharapova’s defence held up against Sevastova’s craftiness. So the first of the quarter-finals will see a first-time match-up between Anastasija Sevastova and Sloane Stephens – a huge opportunity for both players! Venus Williams beat Carla Suárez Navarro, 6-3 3-6 6-1 to advance to her 12th US Open quarter-final. Finalist – R4 – Finalist – QF*… Venus’s run at the Slams this year has been sensational.
.@Venuseswilliams 💃 twirls into her 12th QF at the #USOpen. Peta Kvitova scored her first top ten win since returning to the tour, beating Garbiñe Muguruza, 7-6(3) 6-3. Petra is just amazing. It’s really hard to put into words how incredible she is and it’s easy to take granted what she has achieved since coming back from the career threatening hand injury. Huge winner from Petra Kvitova! Garbiñe in press. All in all, an excellent summer for her. The second quarter-final will see Venus play Petra – oh my goodness I am so excited for this match-up. All five of their previous matches have gone their distance and in particular, their last three have been absolute stunners. I‘m currently reliving that Wimbledon third rounder from 2014! Karolina Pliskova didn’t seem too concerned about the forearm injury that bothered her during a come-from-behind three set win over Zhang Shuai. Here’s a very disappointed Naomi Osaka after her third round loss to Kaia Kanepi 😢. A preview for the fourth round match between Elina Svitolina and Madison Keys is now up on the blog. A trio of polls for the remaining fourth round matches on Monday – come on Lucie and Dasha! GBBO Week 1 Bake ✅ Chocolate Mini Rolls First batch were a disaster, second batch much better. Didn't get much rise on the cake but really happy with the swirl! September 4, 2017 in Set Points, US Open, WTA. There’s a really interesting read online somewhere written by a tennis coach who Sharapova and her parents consulted with when a youngster training with img. Apparently back then her forehand was absolutely horrible and they pinpointed that she had a better range of motion using her left hand than her right, which is why her backhand is more clean than her forehand. They toyed with the idea of making her play left handed but ultimately decided she was too old to make the switch and the problem would have just reversed, leaving her with a strong forehand and weak backhand. Don’t know why Muguruza was happy bc I thought that she was playing okay but not that well. I was a bit sad bc many crucial points didn’t go her way rather unlucky. But unlucky in the way bc Kvitova make the balls she usually don’t make in most matches. Wasn’t Peak Petra mostly but (of course… 😦 ) at the big points! So credit to her. Yeah, excellent summer all in all for Muguruza. Muguruza was super impressive up until 41 and then she did become a little passive at times, in my opinion. But Petra served beautifully on clutch points and really took some risks which paid off for her. An interesting point was made by Mary Pierce that that weather seems much cooler and less humid this year, and that’s probably helped Petra quite a bit. Now she’s running on confidence, it will be difficult to stop her. Everyone made incorrect predictions of this match. Everyone had underestimated Kvitova. As I mentioned earlier, Muguruza has not been tested by someone who could hit harder than her. The results had justified my predictions. I had Kvitova winning also. In fact I said right at the start of the tournament that I expected Muguruza to be knocked out midway through, because I don’t think her game is best suited to the courts here. That she made it into the second week impressive enough for me, really. Kaia Kanepi has now jumped 308 ranking positions to 110 with her win over Kasatkina. Kanepi has now won 7 straight matches in the USO, with 3 of those in qualifying. Qualifying for a GS main draw is similar to being in the finals of a small tournament. Both of the finalists in the New Haven tournament lost in the 2nd round of the OSO. Seven matches in such a short time appear to have taken their toll on the 32 y/o Kaia. At the end of the Kasatkina match, Kanepi seemed to be running on fumes. IMO if Dasha had forced a 3rd set she would have won. Although Kanepi is the big story of this USO, I don’t believe she can beat either Svitolina or Keys. Kanepi played in and won two small ($15k and $25k) tournaments this year, the first one in June!!!!! Amazing run for KK. It seemed like she was feeling it at the end with Dasha at *4-5 *30-0 and then suddenly she started blasting the ball again. She said she was pain free in her press conference, which is great to hear, I would agree, i’d go for Keys to prevail in their QF.